We run LDC Youth Club fortnightly/monthly and have a large number of youth age range from 8-18yrs old. We have booked a youth activities weekend in Blairvadah next year in June which cost £6,000 for 36 children. 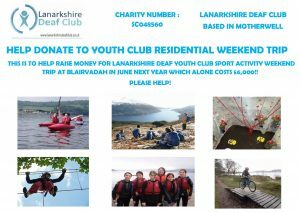 Please help donate or even share the link on social media to make this weekend memorable for the children.